There is a wonderfully creative YMCA in Daegu, South Korea. I dumped into this city without knowing much what to expect. I was really taken by the power and creativity and the energy of this YMCA. Look at these bikes. They have their own bike designer. She makes the drawings, and then another group makes the construction. These are very sophisticated bikes with small electric engines to make the different movements coordinated. 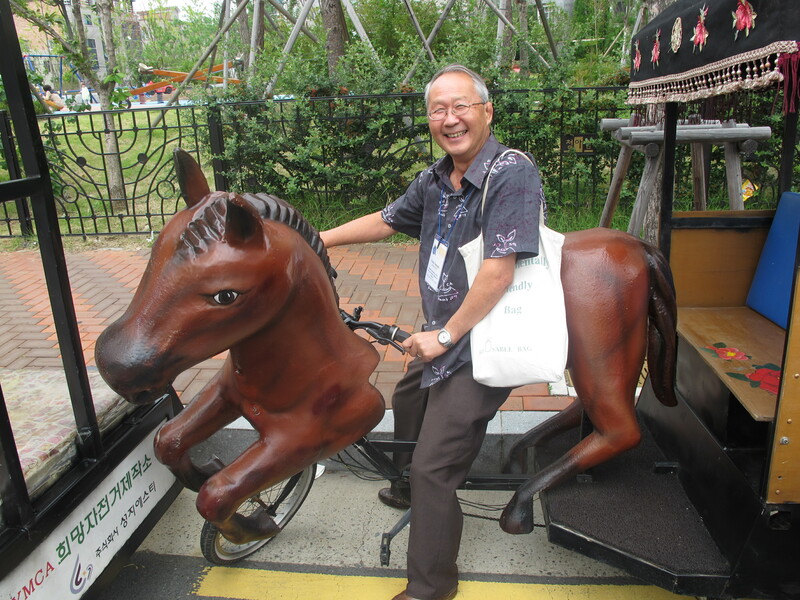 Kohei Yamada riding into the sunset on a broken horse! 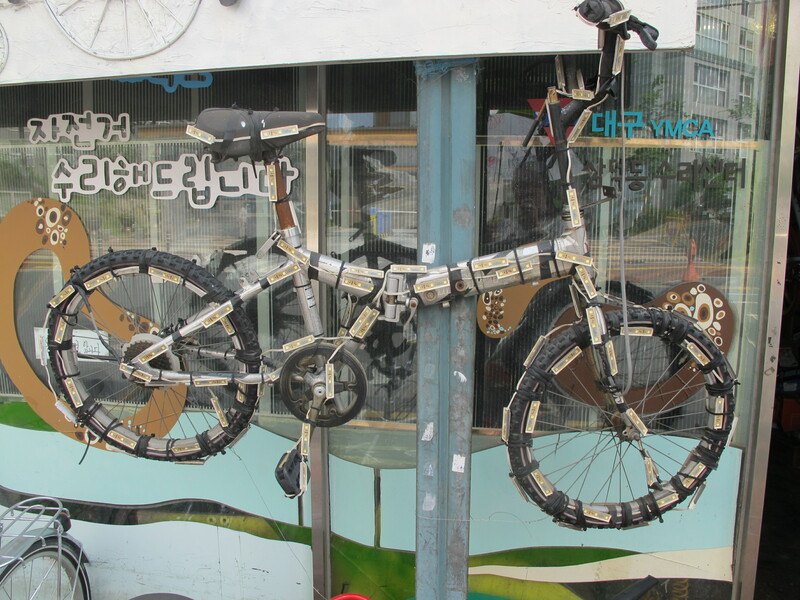 These fantastic bike compositions are part of a huge social enterprise for Daegu YMCA. 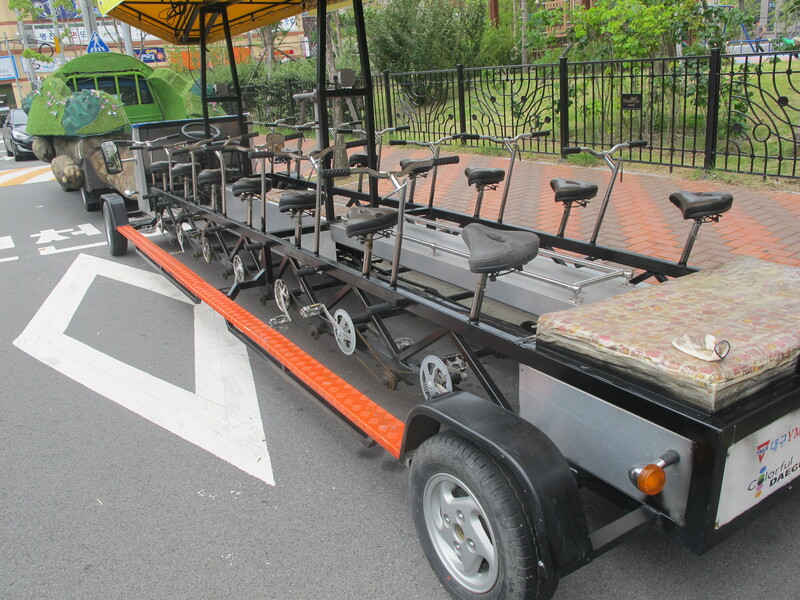 Here a bike for 14 people. 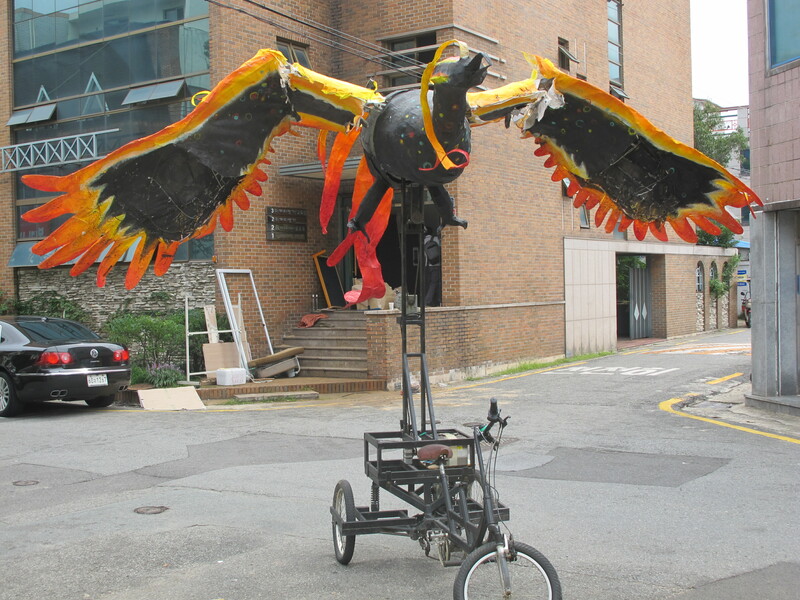 It becomes a platform for much fun when we enter the bike and start bicycling around the neighbor hospital. There were people who believed we belonged to the hospital. And not as doctors or nurses! Marlene and Kohei Yamada were celebrated during the APAY assembly, Kohei retires November 1st, so that meeting was his last one. 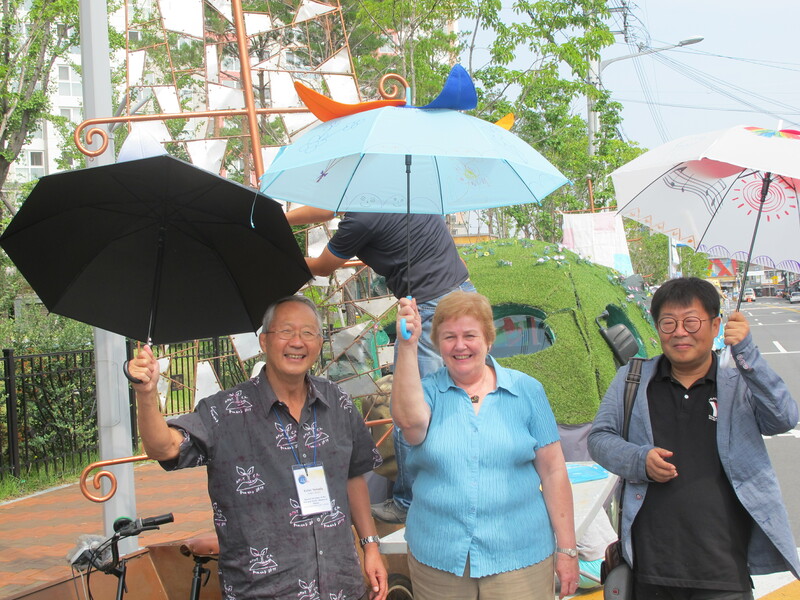 But in Daegu before the assembly we all relaxed and had fun. 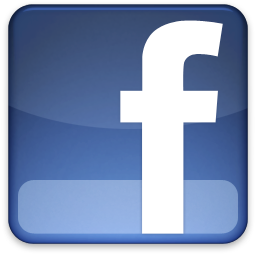 And how does this social enterprise work? It is very simple. Every time the city organizes a parade, they rent the YMCA to add their very special flair to the parade, and the YMCA is paid with ten thousands of dollars, money going straight into good youth work. 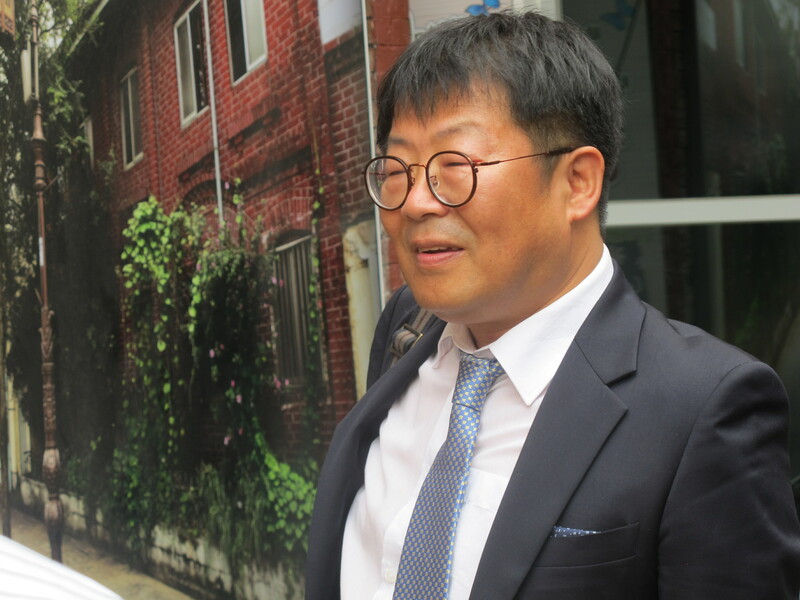 Here the General Secretary of Daegu YMCA, Mr Kim, Kyoung-Min He is looking for customers for his orange bike. 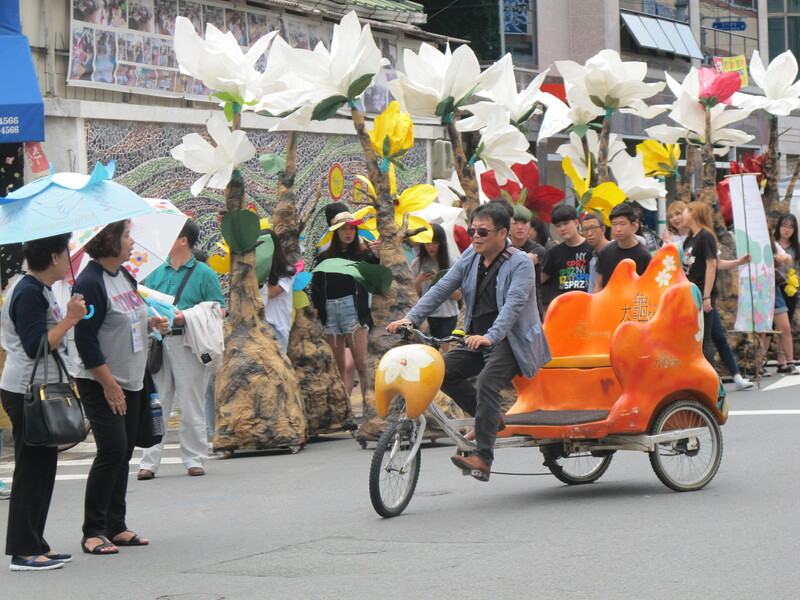 Soon after the two Yamadas were sailing up the street in this orange fruit in a dangerous speed. Lots of smiles and laughter! Kim is a philosopher from the university in Seoul, and a very smart man. He has spent most of his working years at the local YMCA, and his leadership is making the local YMCA so strong.They recently sold one old YMCA building and solved their financial problems. Then they invested in a new building downtown, much better located, where they are running a 24 hours open cafe for teens, dance training, peace library and multicultural programs of all kinds. It was for me a brilliant example of what we call a POWERSPACE. An empowering YMCA space for young people. 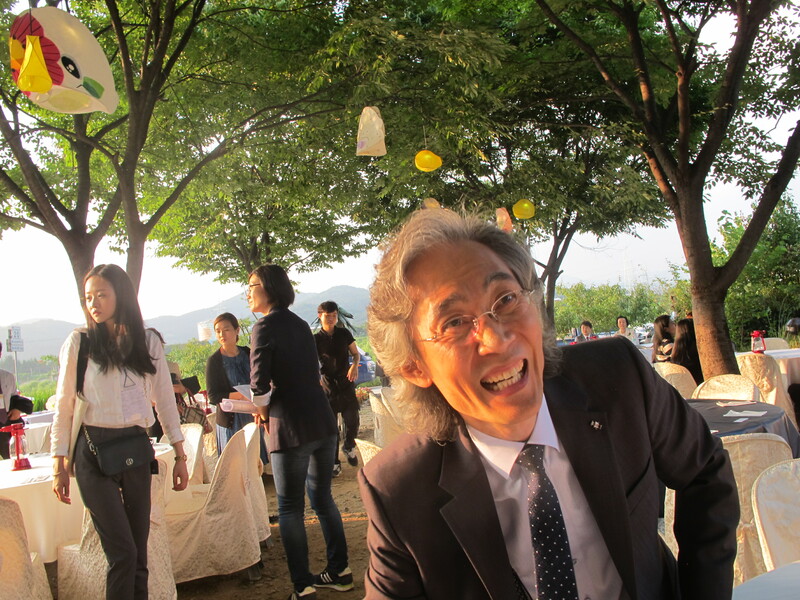 Our wonderful host, Maestro Jae-Joon Lee, extremely considerate and hospitable – he took very good care of us all the time. 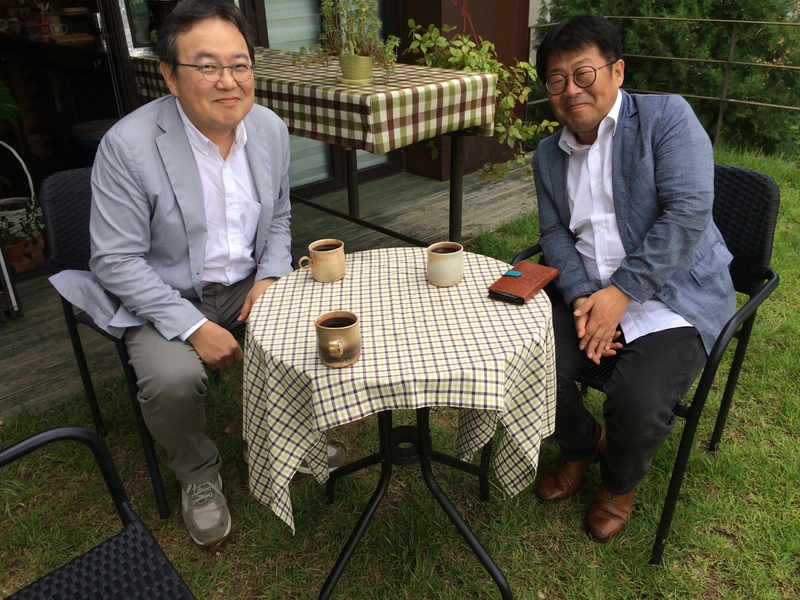 He is a world star as conductor of symphony orchestras and operas, working all over the world, but based in Daegu, and a dedicated volunteer in the local YMCA. We really became good friends, and I admired his dedication to the YMCA. Despite of a busy, busy schedule he had time for the local youth. This time he had cancelled two big concerts to make time for the celebrations of the 100 years anniversary. 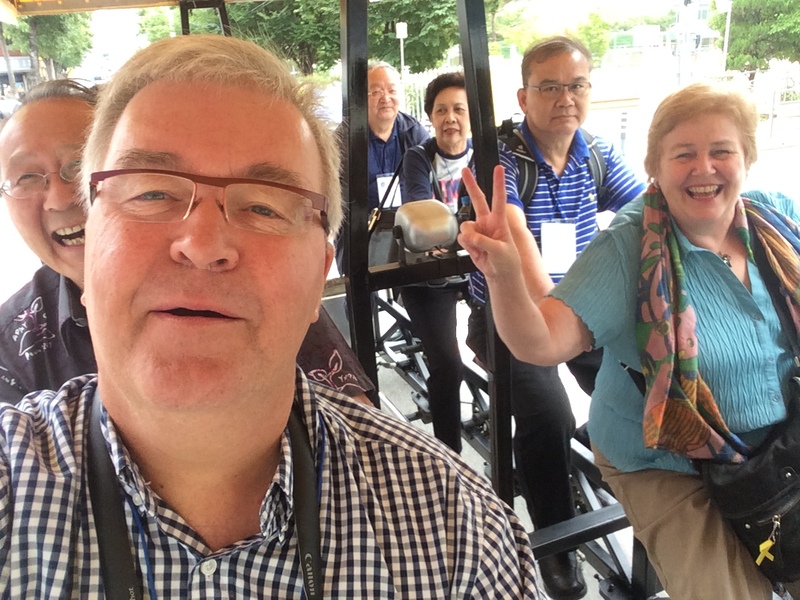 13 international YMCA leaders and one local pop star. Guess who is the star? As preparation for the big YMCA parade through the city we all painted umbrellas and showed the world that we are an umbrella organization! Kohei has of course artistic genes, and made the most stylish umbrella, white paintings on a black umbrella. Beautiful. We all envied him! Our conductor led a fabulous classical concert at the local concert hall with musicians on top world level, and after that we were all invited for a nach spiel at the beautiful lake. 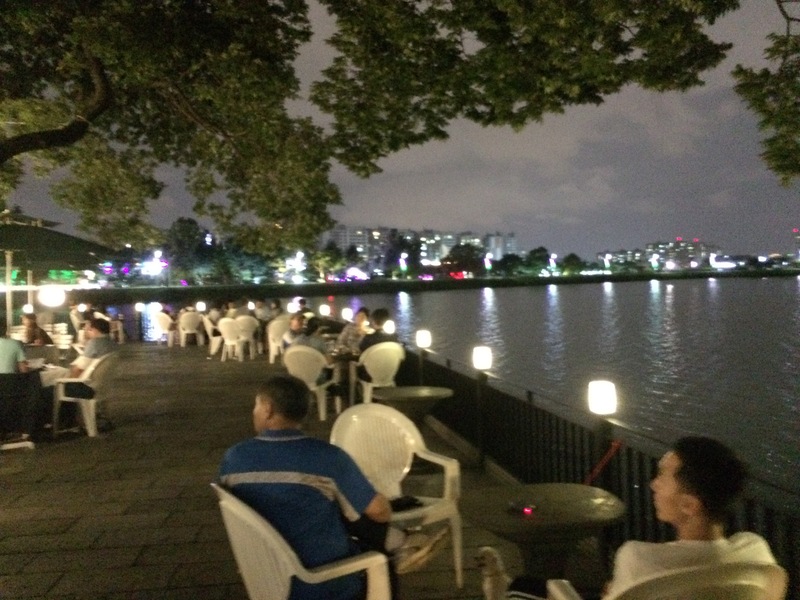 Kim and his Vice President in a cosy moment in a coffee shop near the river. Visiting Daegu was an unforgettable experience. And I have invited Kim to join us for the Strategy Delivery Summit in Litomysl in November, and he has promised to come and work on POWERSPACES. PowerSpace! A YMCA Parade w/ beautiful hand-painted umbrellas! Very exciting report! Wonderful contrast to the war & walls that have divided the Korean peninsula and its ancient, rich, creative culture. 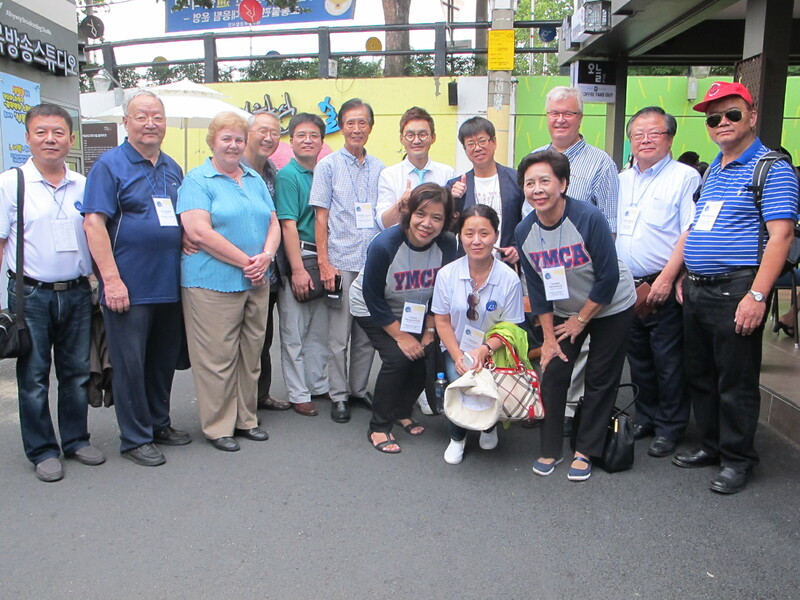 Greetings — and thanks — to our Korea YMCA colleagues!